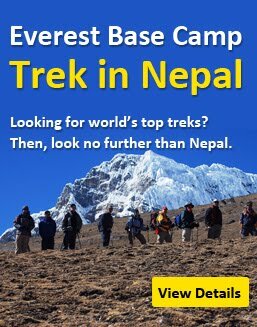 How much does it cost for Everest base Camp trek is the most frequently asked question by the trekkers who are planning to trek on Mount Everest foothills. There are many factors affecting the cost for Everest Base Camp trek. Everest base camp trek can be done from 12 days to 17 days so cost may differ as per number of days. Trekking season is the main factor for changing the trip price. when you travel to Everest base camp in peak season, the cost may be little bit high but in off season, you might be awarded by discount offer. Trekking with a local trekking company will be reliable and safety. Find the best trekking agency before you depart for Mount Everest Base Camp. The cost may be minimized when you trek with a trekking company. The cost may differ according to trekking package. When you choose the deluxe hotel or tea houses, the price may be high whereas the cost may be less when you stay in budget hotel and tea house. Always choose a best trekking agency for the safe trekking as independent trekking is banned in Nepal. Everest base camp trek is a challenging trek so independent trek is risk in Everest region. How cold is it on Mount Everest? Why 2018 is the year to visit Kathmandu? Where is Everest Base Camp?